When you are just starting out with sewing you want to know that you are investing in a good quality sewing machine that will get you through all of your sewing adventures. How do you know what to look for and which features are must haves when looking for the best sewing machine for beginners? 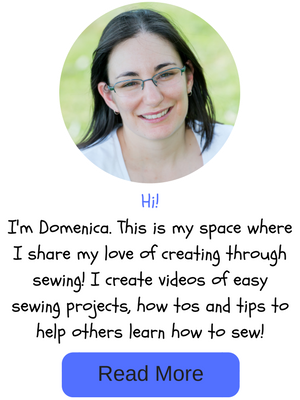 When I bought my first sewing machine I really wanted a digital machine at the lowest price possible. From the outside it was exactly what I wanted, but once I started getting into some real sewing, my machine just couldn’t hack it. I got what I paid for to be honest. I started having timing issues and the machine would start clunking when I tried to sew anything that was thicker than two pieces of cotton fabric. Sewing became a pain and not an enjoyable hobby like I intended. I seriously recommend spending a bit more money at the beginning to get a good quality machine that will not only be great for you as a beginning sewer, but still meet your needs as you become a more experienced sewer and more adventurous in your sewing endeavours. 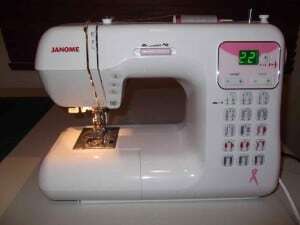 I personally use a Janome DC4030 for all of my sewing, This is my second sewing machine and I absolutely love it. 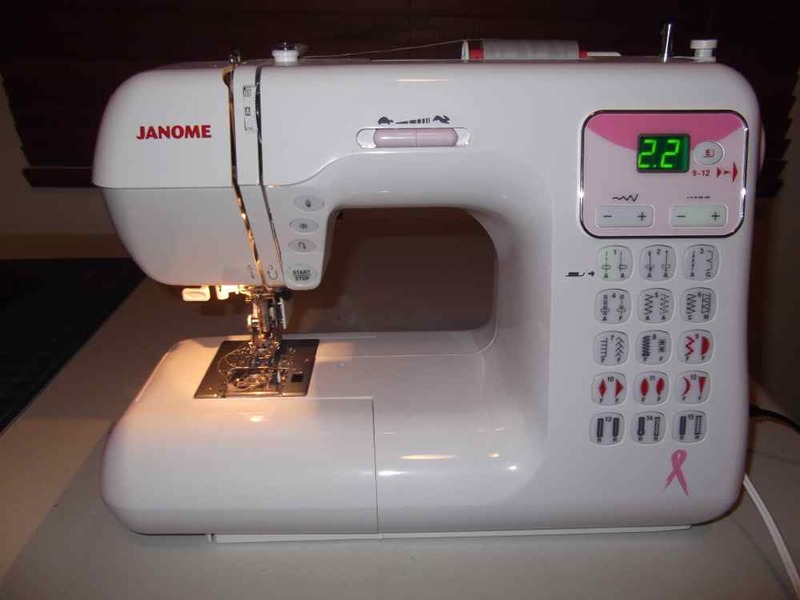 I’ve have it for a couple of years now and I have made it sew many difficult and bulky projects and it handled it all with ease. My previous Singer sewing machine just wouldn’t cope and I’d end up putting everything away out of frustration. In saying this, the Janome DC403 is a bit pricey when it comes to getting the best sewing machine for beginners as I paid around $600 for it. After a bit of research and a chat with my local sewing machine specialist I found the best sewing machine option for a beginner. In Australia, I would recommend the Janome DC2101LE and the equivalent to this machine in the USA is the Janome Magnolia 7330. After much research I found that these machines are the same, except they have slight differences in appearance on the outside. 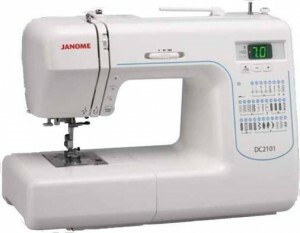 These 2 machines have all the features that I enjoy on my Janome DC4030, but at a lower cost. 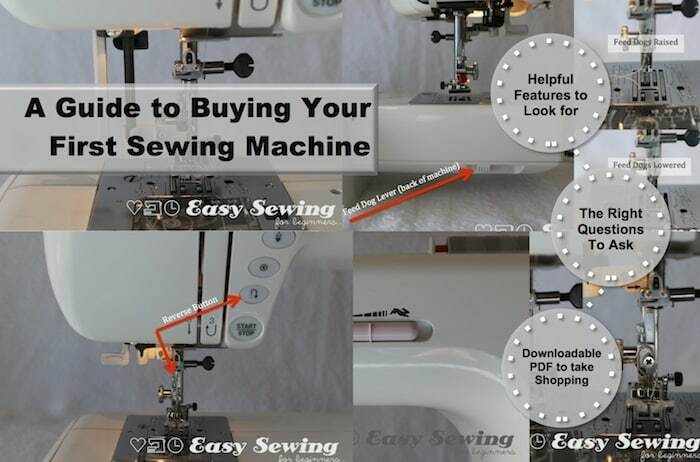 The following five features are must haves for anyone wanting to have a sewing machine that makes sewing an easy and enjoyable hobby. This feature is very handy for young children or beginners in general who are starting to learn how to sew. It is also great to have when you are sewing a delicate or thick project which requires you to take your time and go slow. I personally find that I like to sew with my machine on a medium speed most of the time. It’s just what I’m comfortable with. With all of the machines mentioned above you have a top loading bobbin. There are a couple of reasons why this is a great feature. The first reason is because you don’t run the chance of getting your thread caught in the bobbin and bobbin casing. The second reason is a front loading bobbin needs a bobbin case. This adds an extra part to your machine that may be damaged easily or may need to be replaced down the track. You also don’t need to mess around with any oiling with a top loading bobbin. The third reason why a top loading bobbin case is great is you can easily see how much thread you have left on your bobbin. There’s nothing more annoying then being in the middle of sewing something only to realise you bobbin thread has run out! This is one of the best features on my machine. A lot of the sewing I do involves turning the fabric while sewing or switching direction at a corner. On most machines, to get the needle down this would involve turning the handwheel to get the needle in the down position. All of the machines above have a button that tells the machine to stop in the down position when it has been activated. This saves a lot of sewing time as you don’t waste it by having to turn the handwheel all the time. On many cheaper machines I have notice that there’s usually a big reverse button on the far right side of the sewing machine. I find it extremely handy to have the reverse button right above where my hands are when I’m guiding the fabric through the machine. All that needs to be done to reverse stitch is to move my thumb, when needed. A very handy feature. The options are almost limitless when it comes to digital. When it comes to making sewing easy, sewing machines with a digital display definitely make any stitch adjustments a piece of cake. Which features do you think are important for a beginning sewer? 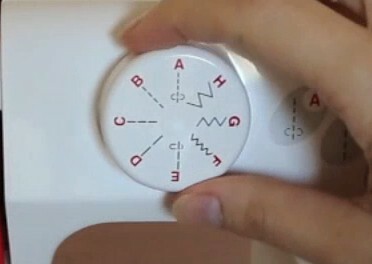 Do you have a sewing machine recommendation different to mine? I would love to hear your opinions in the comments section below. 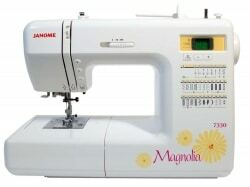 You can buy the Janome Magnolia 7330 online or read some of the fantastic reviews there as well. If you live in Australia, Buy the Janome DC2101 here . Are you able to send me a photo of what your stitch looks like? 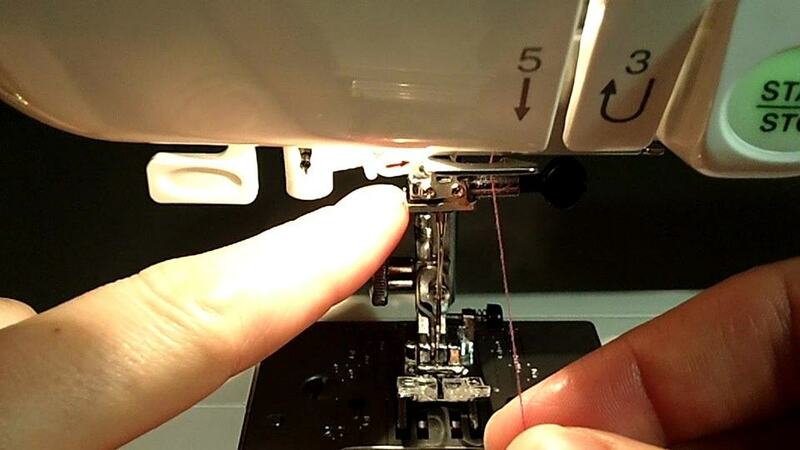 Your machine should automatically start on the straight stitch, so no adjustments should be necessary.